Our Trainers and Formators | Sistemang Pilipino, Inc.
Is a professional bassist. He received his basic music training at the Salvador and Pilar Sala Foundation in Cebu. He was awarded a full grant to study at the Royal Conservatory of the Hague in the Netherlands. There he completed his bachelor’s degree in 2007, and his Master’s degree in 2009 with distinction. He is now back in his hometown, Cebu, to contribute to its growing music scene. 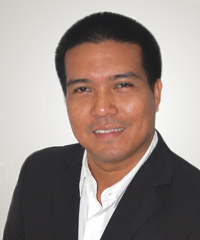 He serves as program director and music teacher trainer for Sistemang Pilipino, Inc. He finds great inspiration musically and spiritually as his team carries out its mission of bringing music education and performances to children and their communities. Mark Axel Melecio was a member of the Cebu Youth Symphony Orchestra of the Salvador and Pilar Sala Foundation. He was assigned to play the French horn. He finished his Bachelor of Arts in Music at the University of Southern Philippines in March 2000. Shortly after his graduation, he was then offered to teach college students. He has been teaching music in PAREF-Springdale since 2001. 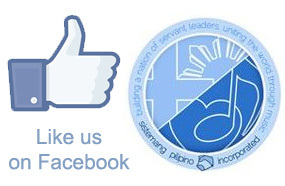 He was a member of the Peace Philharmonic Orchestra Philippines. Furthermore, he has been a trainer of several choral groups such as the Regina Carmelli et Petrus Calungsod Chorus and the Ecclesia Cebuana Children’s Choir. 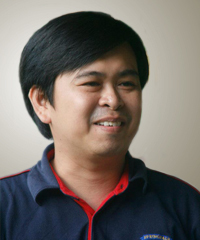 He was a member of the Huni Choral Group and the Cebu Chamber Singers. Currently, he plays for the Cebu Philharmonic Orchestra and trains the Sistemang Pilipino choir members. He has been teaching music in PAREF-Springdale since 2001. Has worked as a teacher and music program director for over ten years, having taught everything from violin and multicultural studies to English as a second language, for students in the United States, Kenya and Venezuela. Graciela currently serves as Program Director of the Josiah Quincy School Orchestra Program. 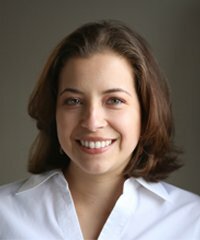 She has both a Bachelor of Music and Master of Music in Music Education from Boston University and is also a graduate of the Sistema Fellows Program at New England Conservatory. Regina Buenaventura graduated with a Bachelor of Music Degree in String Performance under Prof. Almita Vamos at the Bienen School of Music of Northwestern University, in Evanston, Illinois. At Northwestern University, she was a merit scholar and was part of Northwestern’s Delta Epsilon Iota Academic Honor Society. She has had chamber music coaching under Dr. Roland Vamos, Mr. Mathias Tacke of the Vermeer Quartet, and Dr. Russell Rolen of the Spektral Quartet. She has also participated in masterclasses taught by the famed concert artists and pedagogues Ruggiero Ricci, Alice Schoenfeld, Shmuel Ashkenasi, and William van der Sloot. Prior to her studies at Northwestern, she completed her pre-college musical training at the Music Institute of Chicago with Professors Almita and Roland Vamos. She has been a scholar for the arts of Standard Insurance, Inc., and is now their Artist-in-residence. 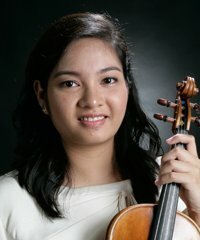 From Dipolog City, Miracle Romano is violinist/pianist with the Cebu Philharmonic Orchestra and a music teacher at the Romano Art and Music Studio. She is also a regular columnist at the Zamboanga Peninsula-based publication, Mindanao Observer. In 1995, Miracle won third prize for piano performance at the National Music Competition for Young Artists (NAMCYA) and was given a Young Achiever’s Award in 1996. A BA Journalism graduate from The International Correspondence School, she is presently pursuing a music diploma through the Associated Board of the Royal Schools of Music (ABRSM).